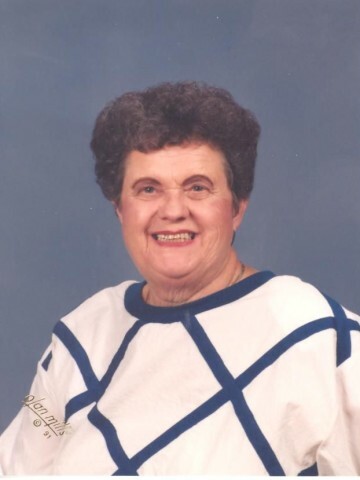 Edna A. Hogan Gussmann, age 88, of Goodlettsville, passed away Thursday, May 8, 2014 at her home. Mrs. Gussmann was preceded in death by husbands, Raymon Hogan and Hans Gussmann; and her son, John Joseph Sesler. She is survived by her children, Peggy Ann Roberson (Leland), Dwight Derwin Sesler (Faye), Reba Hope Huffines (Mike), Helga McKee (Willie); grandchildren; Raymon Sesler (Mandy), Christy Walker (Jason), Kevin Roberson (Heather), Leanne Adkins (Dale), Michael Huffines (Adelene), and Ethan Huffines (Caroline); great grandchildren, Brooke, Baylee, Austin, Brendon, Keeley, Abigail, Bella, Bradon, Aubryn, and Ainsley; sisters, Johnnie Jent, and Dora Doss; and a brother, Wayne Kirby. The family will receive friends from 2-8pm Saturday and 12-7pm Sunday at the Cole & Garrett Funeral Home, Goodlettsville. Funeral services will be conducted at 10am Monday in the funeral home chapel with Ministers Steve Kirby and Charles Baugh officiating. Burial to follow in Forest Lawn Memorial Park.Pallbearers will be her grandsons and great grandsons. Honorary pallbearers will be all of her grandchildren and great grandchildren. Our prayers are with the family during their time of loss. We will miss her more than anybody knows she will always be here with us .